Magdalena’s chocolate making journey began back in 2000. She had found a recipe for simple chocolate truffles, made a batch and gave them as gifts boxed in pretty boxes. They were a great success. 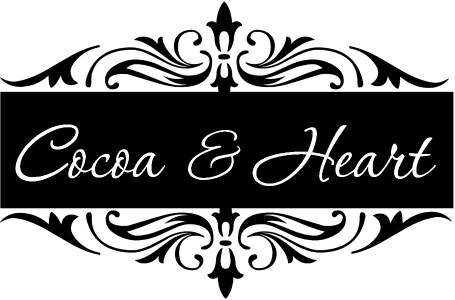 Cocoa & Heart was officially born in 2011. 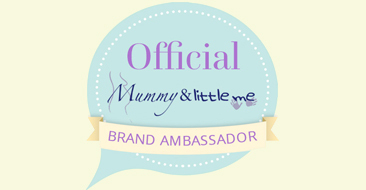 All the chocolate is lovingly made in Cocoa & Heart Victorian kitchen in Kent. It is handmade in small batches, using the best quality chocolate and packed in pretty boxes. Chocolates she uses come directly from Java, Madagascar, Tanzania and other countries. These are of the highest quality and their flavour comes directly from the ground where the cocoa tree has grown and from the environment. They also use good quality Milk Belgium Chocolate and white Belgium Chocolate – yum! 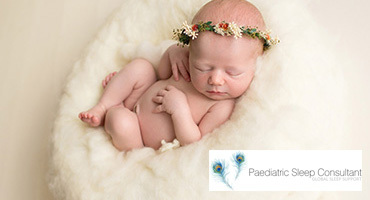 Magdalena also runs chocolate parties and courses too. Chocolate Novelty Bricks. 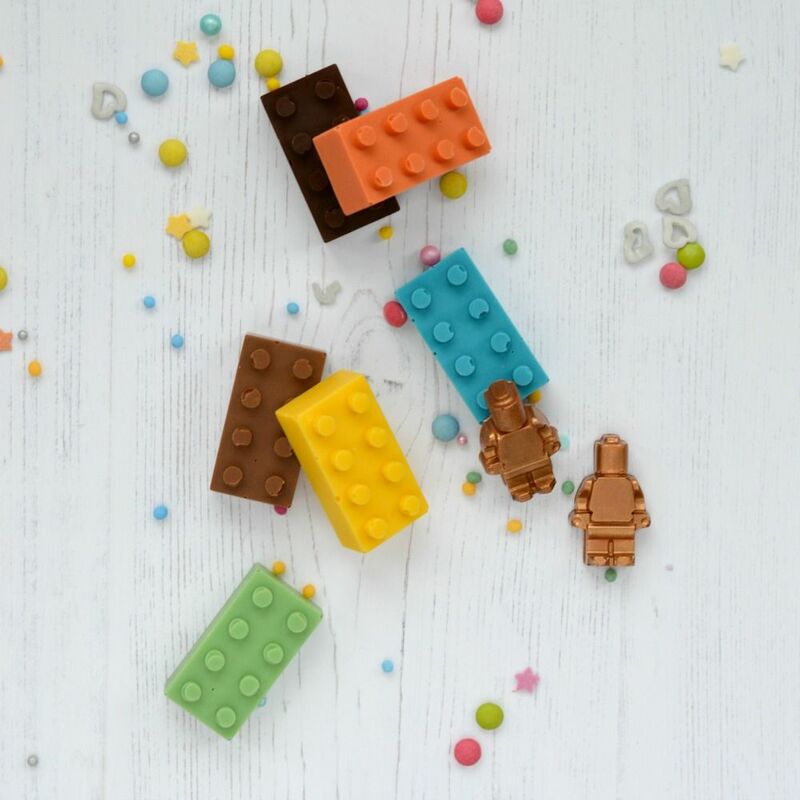 Our novelty chocolate bricks and figure pieces – a perfect replica of the well know building bricks from your childhood or as we know it – chocolate lego – are made from delicious Belgium milk, dark and milk chocolate as well as pastel coloured white chocolate. Milk Chocolate Robot. 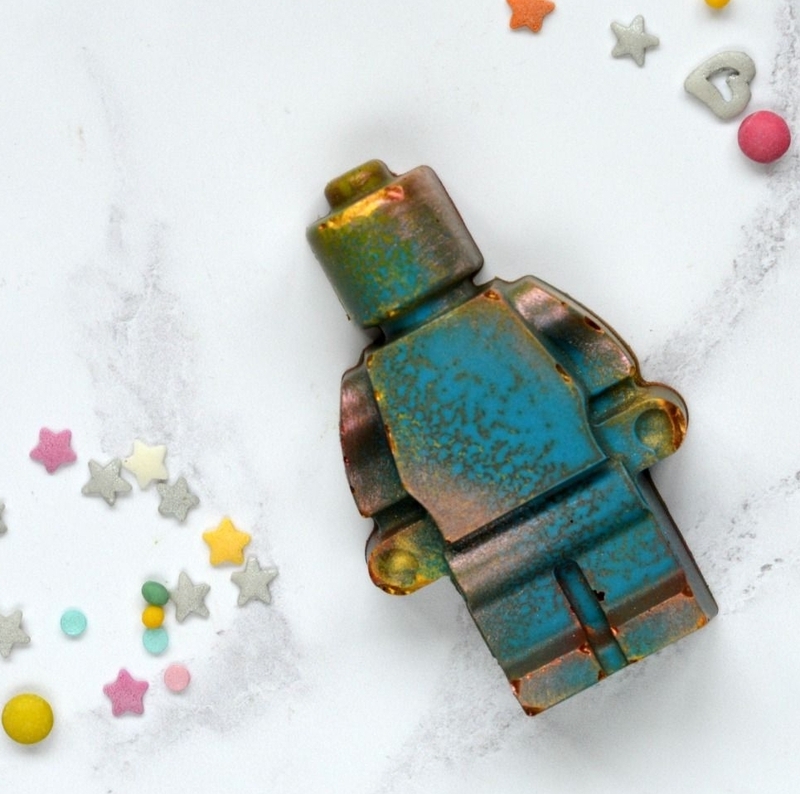 Cocoa & Heart large robot men is made from a solid milk chocolate and decorated with edible metallic cocoa finish. Each robot is handpainted and colours and finish can vary from the picture, but we always use a mixture of green, blue and gold/copper colours to create these robots. Unicorn Chocolate Bark. 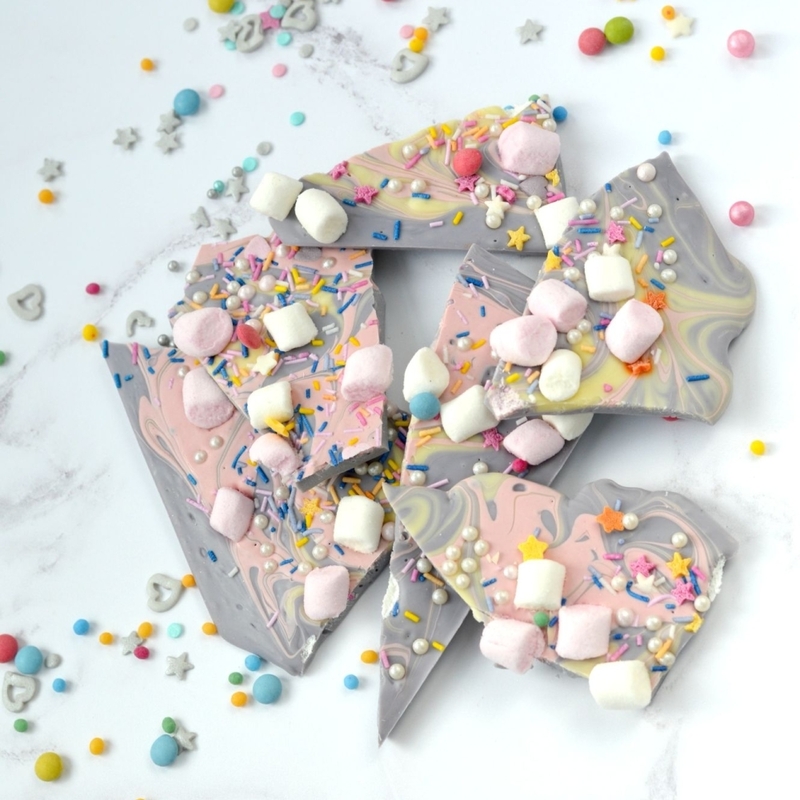 Each Unicorn Chocolate Bark is made with white chocolate coloured with pastel food colours and decorated with swirls of differently coloured chocolate, sugar decorations, rainbow sweets, mini marshmallows and edible gold shimmer. WEach batch is slightly different in colour and style. 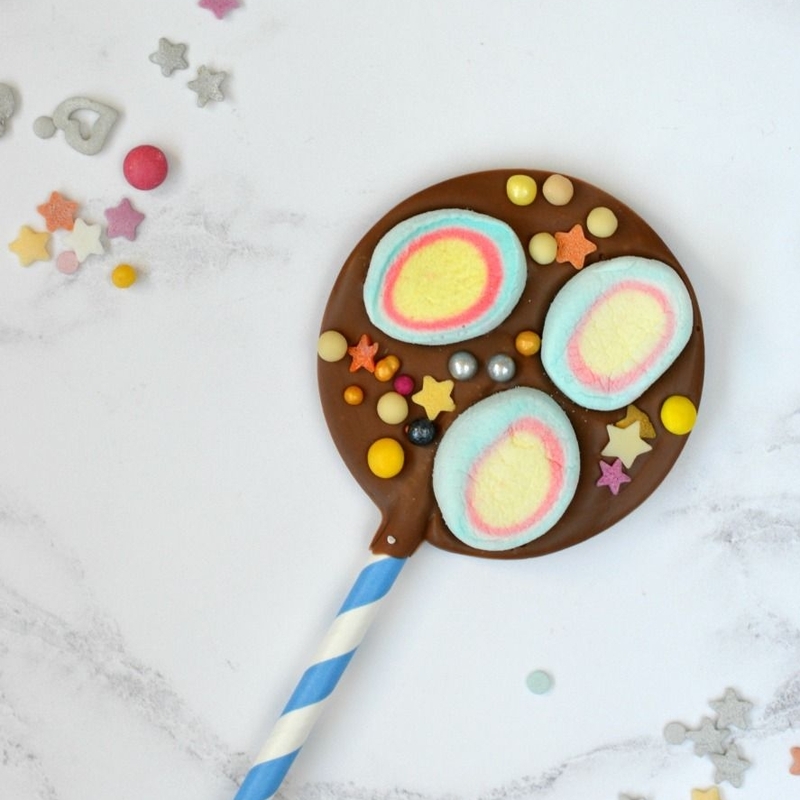 Chocolate Lollipop with Rainbow Marshmallows. 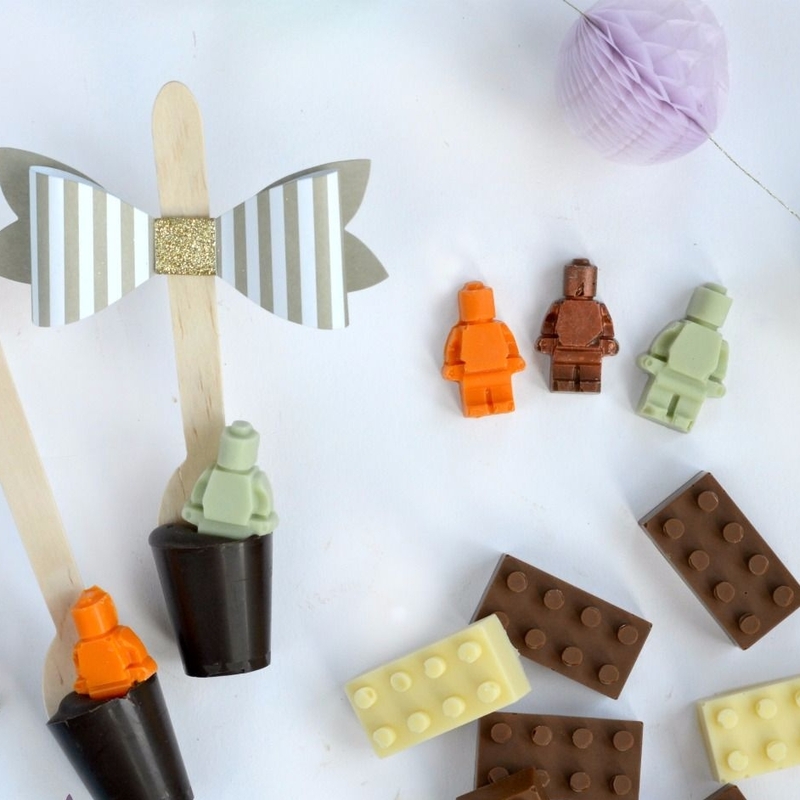 Each Chocolate Lollipop with Rainbow Marshmallows is made with delicious Belgium chocolate and decorated with liquorice and sugarcraft decorations. Handmade Chocolate Buttons. Cocoa & Heart’s novelty chocolate presents range includes these beautifully handmade chocolate buttons with decorative and edible cocoa sheen. It’s hard to believe that these buttons are actually made from real chocolate! These old fashioned chocolate buttons are the perfect novelty chocolate present for anyone who like sewing or crafting or just needs a spare box of (chocolate) buttons! Marc de Champagne Truffles. Marc de Champagne Truffles are the perfect solution, if you are looking for something different to share with your friends at a special party or your corporate event. What’s more – these beautiful chocolates will be delivered to your door! Wow I love the Lego ones how cool is that? But my true weakness is champagne truffles…they look amazing. Oh my gosh, everything looks so nice! I especially love the look of that unicorn bark! Yum! Okay so the unicorn chocolate bark is BEAUTIFUL and those chocolate robots are also super cute. 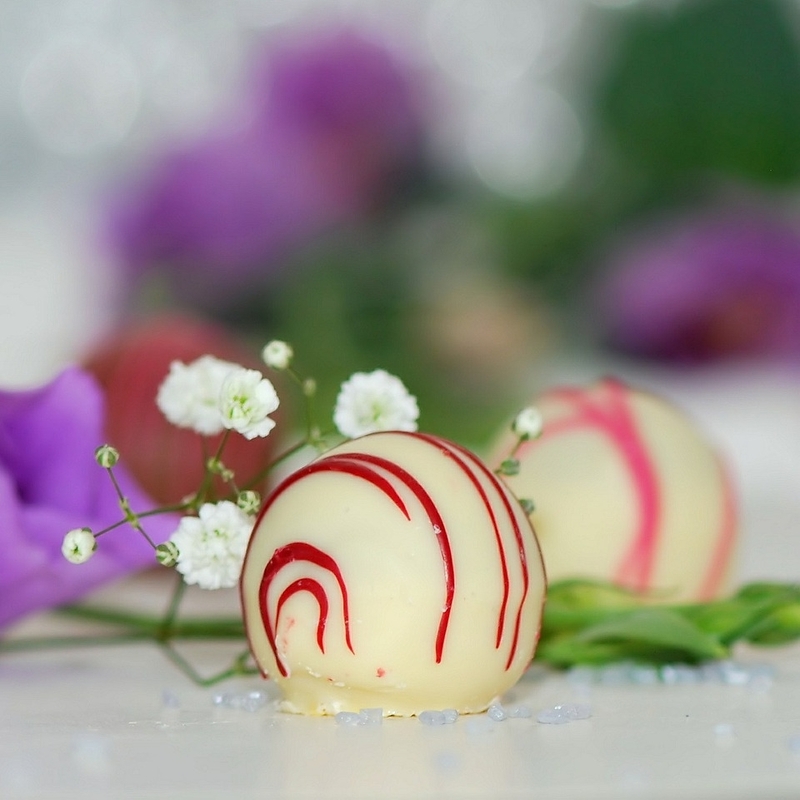 I love it when someone as small as making truffles for gifts turns into a passion and a business. 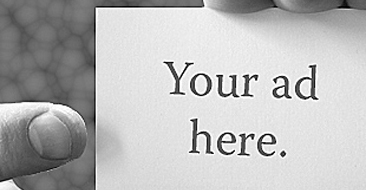 Oh my god, I want to eat these photos! This chocolate looks amazing! How amazing does everything look? Those lego pieces are cool.